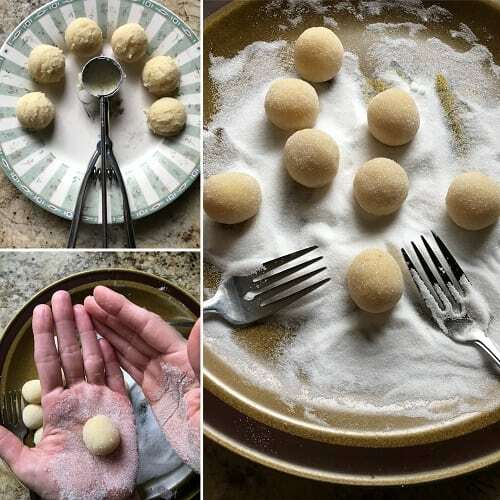 Home » Italian Cookies » Soft Amaretti Cookies: Tested until Perfect! Soft Amaretti Cookies: Tested until Perfect! Soft Amaretti Cookies are a moist & chewy classic Italian cookie. 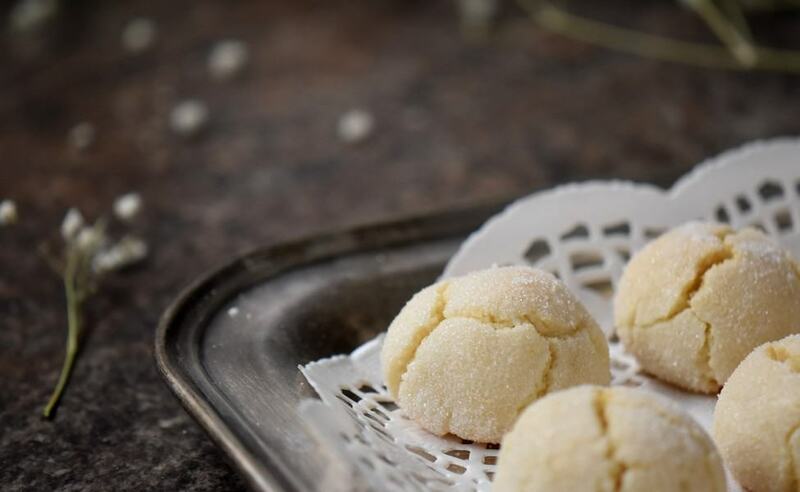 This recipe has been tested until perfect making it the best ever gluten free recipe for amaretti morbidi. You are going to love them! VIDEO INCLUDED. This post was originally published on December 13, 2014 and republished on November 21, 2017 with updated content, photos and a video (located in the recipe card). Thanks for watching and sharing. Amaretti (plural) are almond flavored Italian macaroons that can have a texture ranging from soft and chewy to crispy. Amaretti can be found throughout Italy with each region claiming to have “the best” version of this cookie. 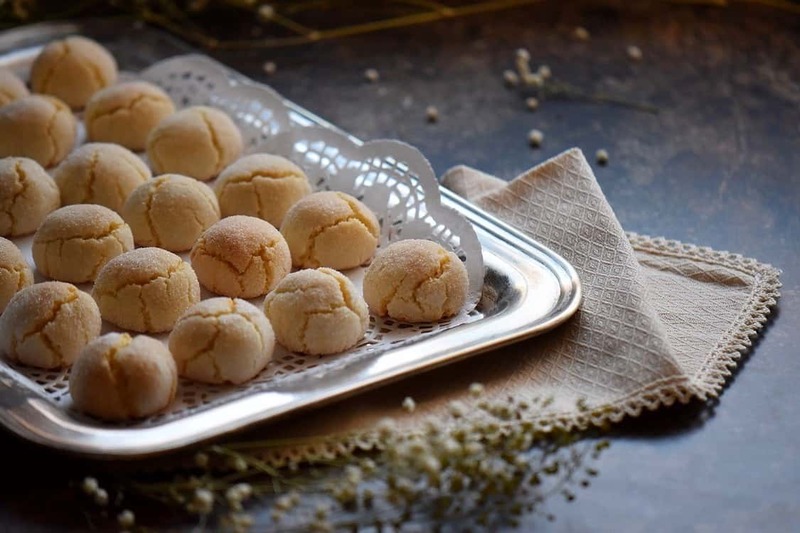 Without a doubt, the most famous commercially sold Amaretti are made by the Lazzaroni family in the city of Saronno located in the Northern area of Lombardy: Amaretti di Saronno. They are beautifully wrapped amaretti that come packaged in an easily recognizable red tin can. 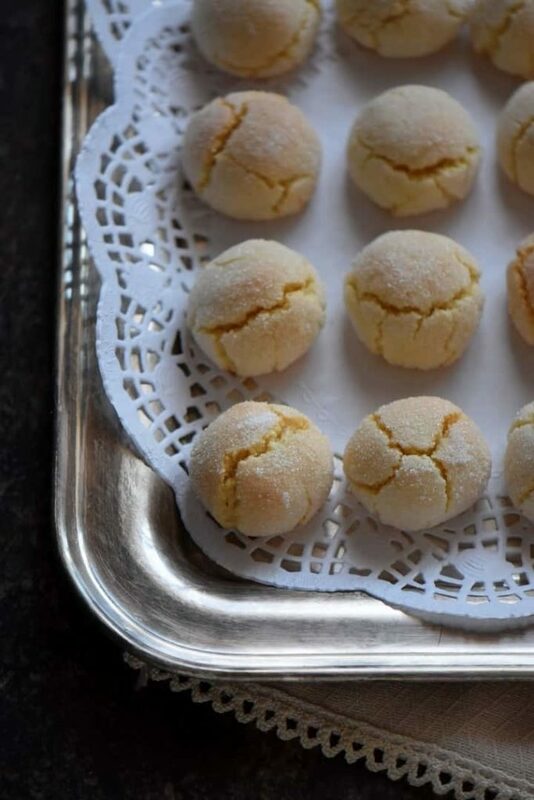 The Lazzaroni family have been making these Italian almond cookies since 1719. Amaretti morbidi are, without a doubt, perfect for your holiday cookie platter. They also make great hostess gifts. There are endless variations that can be found for Italian Amaretti Cookies, but today I’d like to share my tested until perfect recipe. If you speak a bit of Italian, you will have probably guessed that the word amaretti is derived from the word amaro, which means bitter. And so in order to get the true authentic taste of an amaretti, you must use bitter almonds. They aren’t readily available in North America, so I replaced them with bitter almond extract. 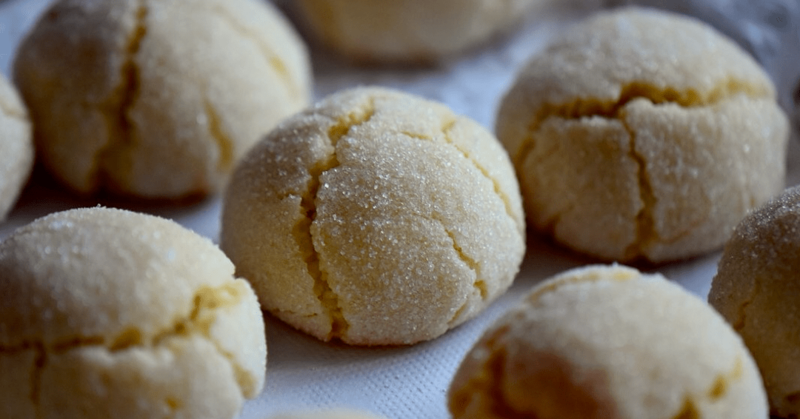 This Italian almond cookie recipe also calls for almond flour (if you recall, we also used almond flour in this other version of amaretti Cookies). The finely ground almond flour will provide a smooth texture that will taste like marzipan. If you prefer a coarser texture, you can use blanched almonds, and grind your own. 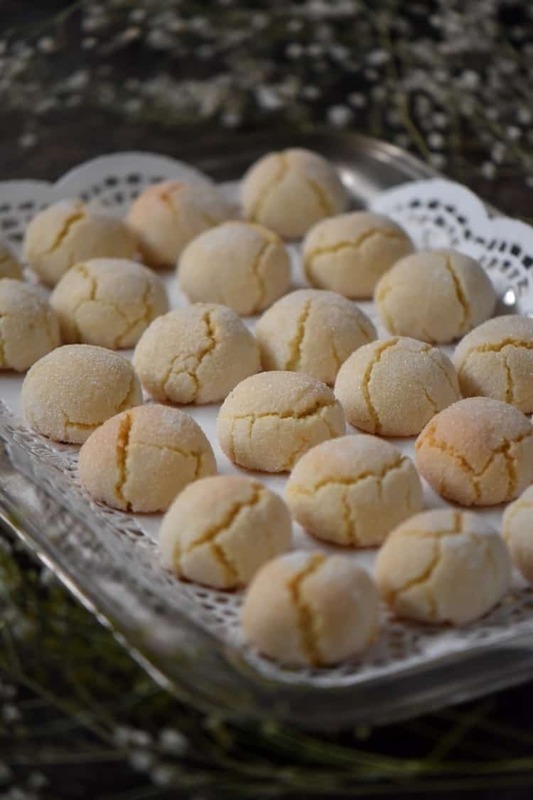 This will provide you with amaretti biscuits that still have that same great flavor, but with a less refined texture. That perfect smooth texture and those pretty cracks on the surface of these chewy amaretti cookies depend on incorporating exactly the right amount of egg whites into the ground almond mixture. 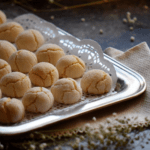 Come and take a look at how to make this amaretti cookie recipe… it’s a lot easier than you think! 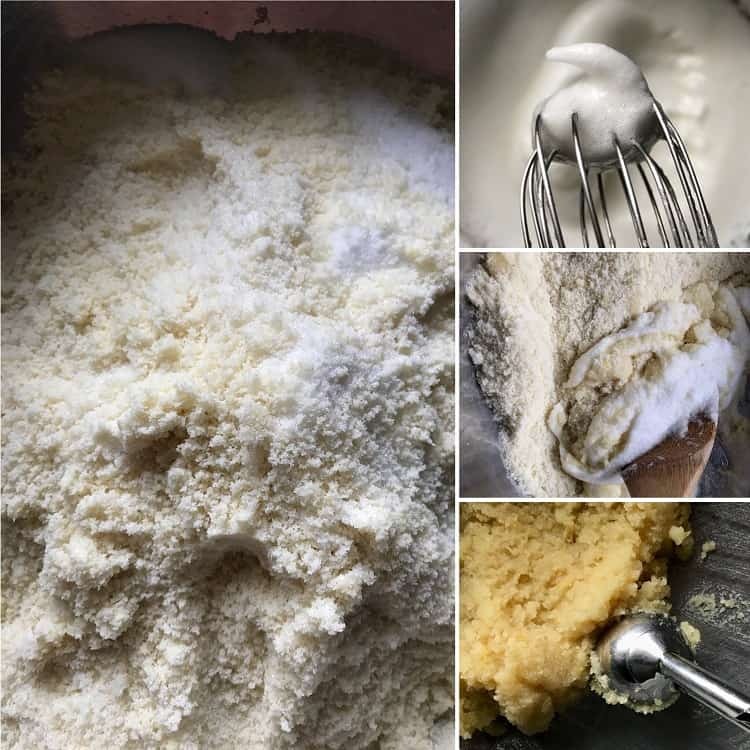 The dry ingredients: The dry ingredients consist of almond flour, sugar and lemon zest. It’s important to whisk the almond flour and the sugar really, really well together. We also need to add the finely grated lemon zest. Once everything is whisked together, set it aside while we whisk the egg whites. The wet ingredients: The wet ingredients consist of 3 egg whites and bitter almond extract. With a whisk, beat the egg whites to the soft peak stage (ie: when the whites begin to curl). I then add the bitter almond extract, and whisk for another minute or so. The combination: Gently incorporate the egg white mixture with the dry ingredients. In just a few minutes, the almond flour will absorb the egg whites and you will obtain a nice sticky mixture. I like to roll them a little bit more in the sugar and then onto the baking sheet and into the oven. The only thing left to do is get the coffee ready because in just 25 minutes, you will not believe what will come out of your oven! The most delicious amaretto cookies! Over thirty years ago, I had the privilege of visiting Sardinia. Sardinia is the second largest island in the Mediterranean sea, and is geographically located to the west of Italy. I can still remember the landscapes and the turquoise waters- breathtaking and beautiful beyond words. A few years ago, Vittoria (the same wonderful person that shared her Limoncello recipe with me) brought me a bag of processed bitter almonds from Italy. I used them in this amaretti recipe and the taste was incredible! For the record, you need to add about one ounce of these ground almonds. So, if ever you are in Italy, you can look for processed bitter almonds. Don’t forget to declare them at customs! Hope you get a chance to try this recipe… would love to hear how they turned out for you. 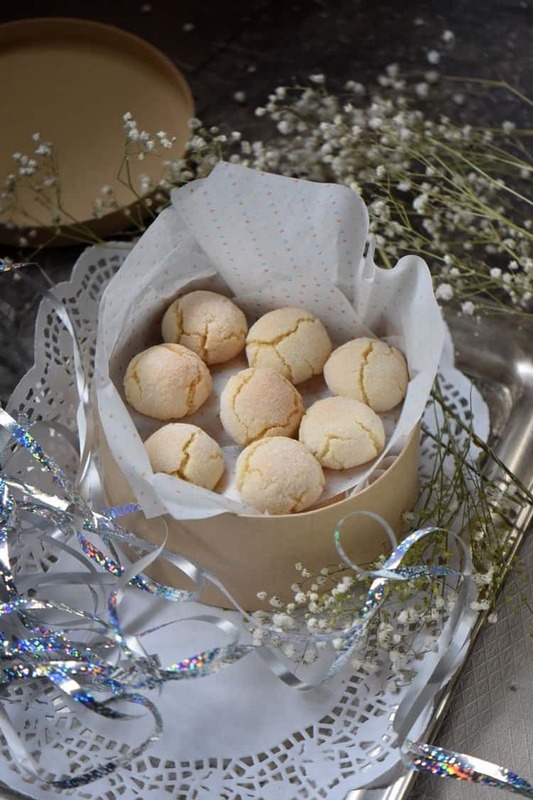 ★★★★★ If you have made these Amaretti Cookies, I would love to hear about it in the comments below and be sure to rate the recipe! 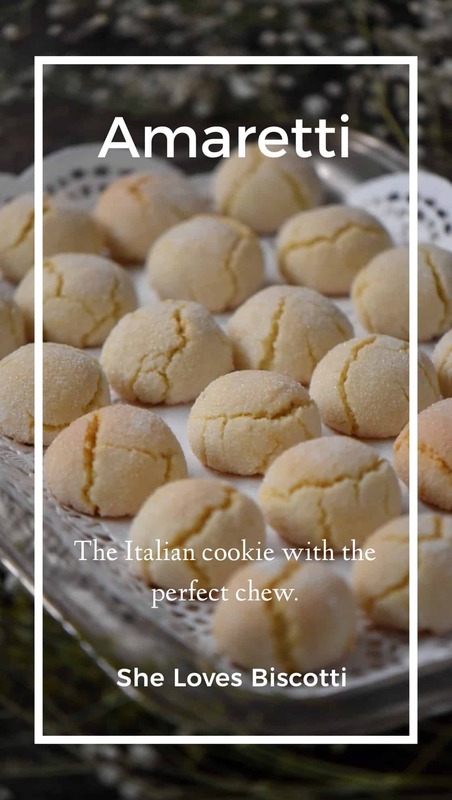 There are infinite variations of this classic Italian cookie. I'd like to share this simple, gluten free recipe for Soft Amaretti Cookies with all of you. Whisk in the bitter almond extract. Gently incorporate the egg whites to the dry ingredients. Once the dough is completely moist, you are done. Use the smallest ice cream scooper to portion the dough (about 1 tablespoon). With slightly damp hands, press your palms into the plate of sugar. Bake for about 25 minutes or until bottoms are golden brown in color. Cool before storing at room temperature in airtight containers. Will keep for 3-4 days. Some recipes will recommend using super fine sugar. I use granulated sugar and am very happy with the results. What a great and forgiving recipe! It was really easy to make definitely the beginner recipe. I substituted half cup of almond flour for ground pistachios and I did a mix of almond and vanilla essence. I ended up stirring in only 3/4 cups of sugar. I also did not roll the cookies in Sugar as the recipe suggests . Despite reducing the sugar considerably everyone in the family including myself thought the cookies were very sweet to the point that the sweetness over powered any other flavor . In the future I will further reduce the sugar to 1/2 cups or less and will put less lemon zest. However all in all everyone in the family liked it esp the texture which turned out great. What a creative version Tazzy! Thanks for taking the time to share, appreciate it! Made these cookies. AMAZING!!! I LOVE anything almond!!! These were truly delicious! I put a whole almond in the top of each cookie. Very pretty! Thanks for sharing this recipe. How wonderful Sonya! I am thrilled to hear you enjoyed these amaretti. Love the addition of the almond. Thanks so much for taking the time to comment, appreciate it. Made these cookies twice now and they are truly Amazing!!! I’m so glad that I don’t have to buy them anymore I just make them and freeze them! My pleasure Nadia! I’m so glad you are enjoying these amaretti cookies! Thanks so much for taking the time to comment, appreciate it. Have a great week-end!